General Peymann had, during the first peace negotiations, the impression the Navy would be turned over to the English as security and returned when the war was over. Captain Steen Bille and most of the naval officer who were members of the War-council refused to sign the final document when they became aware of the conditions. After three days violent and merciless nightly bombardments of the capital, Copenhagen's lines of defense were close to breaking. Peace negotiations began. The Danes would not accept the English demands and on September 5, the violent bombardments continued for the fourth consecutive night. - Copenhagen's will to resist broke on the fourth night, and September 6, 1807, General Ernst Peymann, Commander of Copenhagen, surrendered the city. 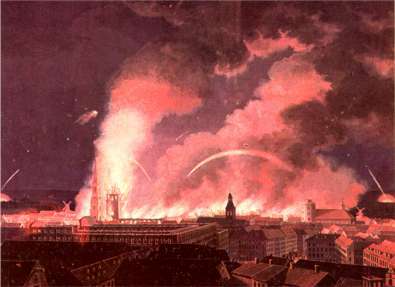 The morning of September 5, an English incendiary set the spire on Vor Frue Church (The church of Our Lady), on fire. When it collapsed, it ignited the rest of the church. The English had aimed at the spire every night of the bombardment. General Peymann had, during the first peace negotiations, the impression the Navy would be turned over to the English as security to be returned when the war was over. The war-council, consisting of superior military and civilian authorities decided subsequently to accept the English terms. The handing over of the Navy, its equipment, occupation of the Navy's installations and the Citadel until the Navy was equipped and able to sail. The terms of capitulation meant the navy was to be handed over as a prize with all its supplies. Captain Steen Bille and most of the naval officers who were members of the War-council refused to sign the final document when they became aware of the conditions. Despite the resistance from the naval officers, most of the War council's members accepted the capitulation. In return, the English promised to remove its troops from Sealand within six weeks. After that, the English occupied Copenhagen but kept to the agreed areas to avoid conflicts with the population. They used the following one-and-a-half month to equip the Danish-Norwegian navy. 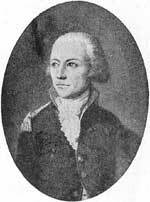 Captain Bille, commander of Copenhagen's naval defense wanted to destroy the navy instead of letting it fall into enemy hands. The Secretary of the Navy had already issued orders to Holmen's chief of staff to the admiral of the dockyard to prepare all ships for scuttling on short notice. Further, preparations were also made to destroy sails, spars and other equipment on short notice. Bille had kept this order at the ready until September 2, but when it came to carrying it out, General Peymann, for fear of the English reaction, failed to carry it out. Subsequently, the war council decided to, except for of Bille and most of the naval members, support the general's dismissal of the proposal. Not in the least, because the Crown Prince's direct orders were lacking. However, The Crown Prince's orders had in fact been issued on August 18, and sent to General Peymann. Captain Steen Bille, commander of Copenhagen's maritime defense, refused to sign the document of capitulation. "As unpleasant as the thought might be, that Copenhagen be surrendered into the enemy's hands, although with the city under your command I fear this not, I find it necessary to inform you that the will and order of his Majesty the King, should this, God forbid, unhappy event take place that Copenhagen be forced to surrender, is, before it should take place, that his navy be set fire and burned rather than see it fall into the power of his enemies and thereby give them a triumph that no Danish man could bear." Unfortunately, the general did not receive this order as the English forces in the Langelands belt, between Funen and Sealand, captured the officer bearing the order. Shortly after the capitulation, the English began to prepare and equip the captured ships at Gammelholm (Bremerholm) and Nyholm. Reluctantly, the Over chiefs of staff to the admiral of the dockyard, Captains S. U. Rosenvinge and A. C. G. Grove respectively had to help in delivering the needed equipment from the warehouses. Generally, the operation functioned seamlessly as most of the English officers displayed professional tact. The English Chief of Staff, Sir Home Popham, overstepped his boundaries to such a degree that his own officers forced him to apologize to Captain Rosenvinge. The equipment and supplies from the warehouses were stowed on the English warships until they were more than well equipped. Further, the English seized 92 merchant ships to transport the remaining equipment and supplies back to England. A ship-of-the-line tipped over on its bed at Nyholm. As well as seizing nearly all the equipment and supplies from the Navy's warehouses, everything, not taken along, was destroyed. Further, extensive and meaningless vandalism occurred everywhere. A ship-of-the-line on its building berth was tipped over and two ship-frames were destroyed. The ship-of-the-line DITMARSKEN, which was in dock, was sabotaged. Three block ship, MARS, ST. THOMAS and TRITON, were burned and three lighters were sunk. The English were so thorough that they even took personal tools belonging to dockyard workers. Everything not taken along was systematically destroyed. In addition, extensive vandalism took place at both Nyholm and Gammelholm. Exactly six weeks after the capitulation, the English were ready to leave Denmark with the main part of the Danish navy fully equipped. However, a few days' delay occurred because of a storm. But, on October 21, the second anniversary of the Battle of Trafalgar, 16 ships-of-the-line, 15 frigates, 14 smaller vessels and 92 merchant ships with supplies from the Navy's warehouses left Copenhagen flying the English flag. It was a day of sorrow for the Danish-Norwegian navy and the kingdom. Ship-of-the-line NEPTUNUS, now sailing under the English name HMS MINOTAUR, made it only as far as Taarbæk reef where she ran aground. 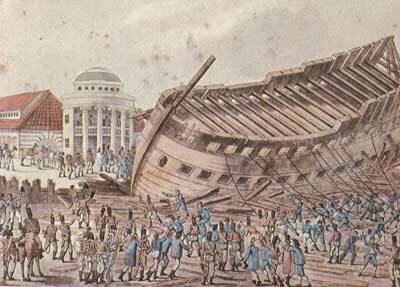 The English abandoned and burned the ship when all attempts at freeing her failed. October 21 was a day of sorrow when the main part of the Danish navy left Copenhagen under the English flag. The English navy used only four of the sixteen Danish ships-of-the-lines. The remaining ships were considered unsuitable. This shows clearly, the English had no wish to capture the Danish navy. They wished only to prevent the French from using it against them. The capitulation and surrender of the navy came as a surprise to the crown prince who was extremely perturbed. The Crown Prince, in a letter to General Castenskjold dated September 14, wrote, "The most repulsive thing about the convention was the surrendering of the Navy with all its equipment when I had made everything ready for its destruction." Of course, the Crown Prince had not given direct instructions for destroying the navy before his departure from Copenhagen. Even so, he had been fully within his rights to expect the ships would not fall into enemy hands. On that background General Peymann was sentenced in 1808 to forfeit "life, honor and property" for his role in the capitulation. Later however, he received a pardon. Rear Admiral Otto Lütken was also accused but acquitted in 1808. He had paid for his crime (signing the capitulation) through his year in custody before his trial. 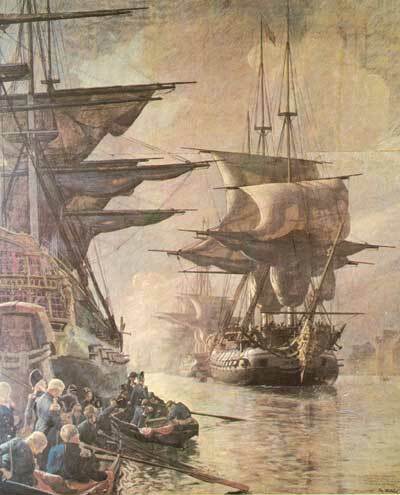 The English had achieved their goal: Keeping the Danish-Norwegian navy out of French hands through neutralization. Danmarks Søkrigshistorie, by Kay Jungersen, Centraltrykkeriet, Copenhagen, 1945. Jensen and Emil Marquard, H. Hagerups Forlag, Copenhagen, 1935.